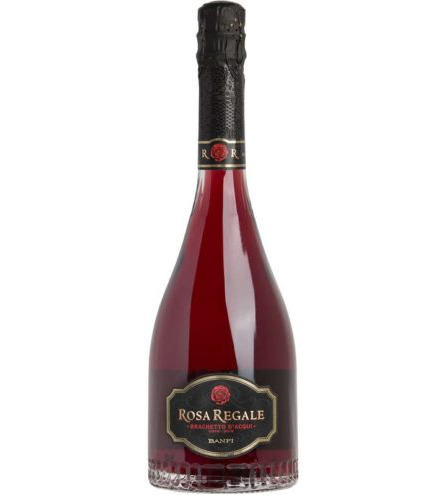 Brachetto d’Aqui Villa Banfi Rosa Regale has aromas of raspberry sorbet with rose perfumed hints and an appealing softly sweet palate full of raspberry fruit. 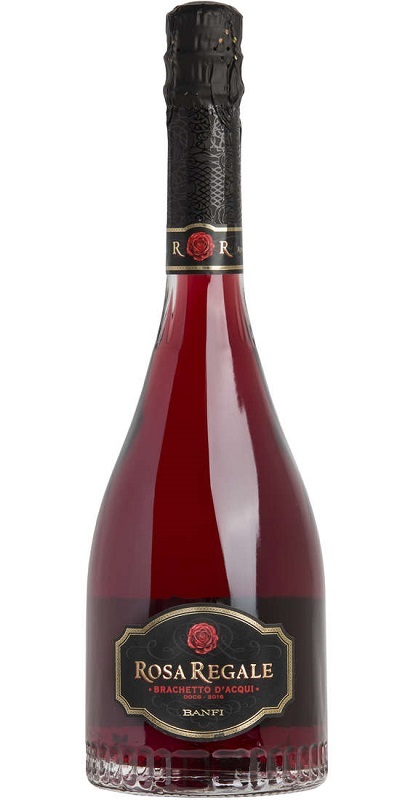 Vinified from Brachetto grapes grown in the single vineyard ‘La Rosa’, located in Piedmont near the town of Acqui Terme; the heart of the historical area of Brachetto. Fermentation, both primary and secondary takes place in stainless steel tanks and the wine is left on the lees for a few weeks after fermentation. Castello Banfi was founded in 1978 by the Mariani family, Italian-Americans who had been involved in wine importing and distribution since 1919. They saw great potential in this then sleepy Tuscan region and from the start their goal was to establish a point of excellence in Montalcino. Combining a respect for tradition and the environment with state of the art research and working practices they have helped to transform the region’s wines and established Banfi’s reputation in an impressively short period of time. They produce premium wines in Montalcino and beyond with a profound respect for the land and people from which they come. The Castello Banfi estate is the largest contiguous vineyard in Europe and includes land in Tuscany and Piedmont. Despite its size the estate is not a mono-culture with one third planted to vines, one third to olive groves, fruit trees and other crops and the remaining third woodland. At the centre of the estate, at 280 metres above sea-level, is the Castello, historically known as Poggio alle Mura, meaning walled hill top, which is now a centre for Banfi wines following extensive restoration by the Mariani family to repair damage sustained during World War Two. This lightly sparkling wine is great as an aperitif when served chilled and goes well with light fruity desserts.